We were poking around making some updates for our client So Cute and Cozy, when we saw that their twitter page was in a beta testing of a new top navagation. 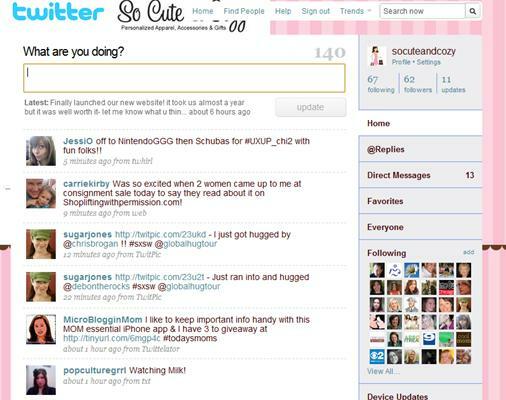 Twitter has added a new search feature and drop down that shows the current trending topics. The industry buzz is that searchability is one of Twitter’s killer features, and indeed, it looks like the microblogging service is starting to put it more front and center. It looks like the company is either testing it out or doing the gradual rollout thing. Twitter’s focus on search started when the company acquired Summize, a search tool built using Twitter’s developer API (application programming interface) and turned it into the Twitter Search feature. 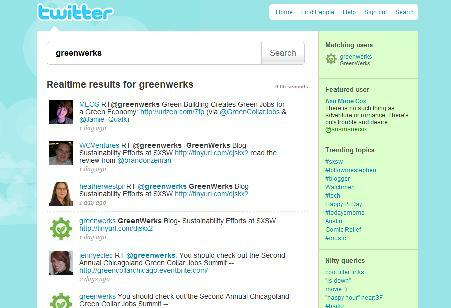 The search for GreenWerks which is another one of our clients showed the current results we have come to enjoy with search.twitter.com. Hooked Up Installs is one of our newer social media clients and was blown away by the cool search features. Twitter has added some new features such as users matching the search phrase, a featured user suggestion as well as trending topics and nifty topics. Lakeshore Branding is looking forward to seeing these new features roll out soon to the rest of the twitter community.